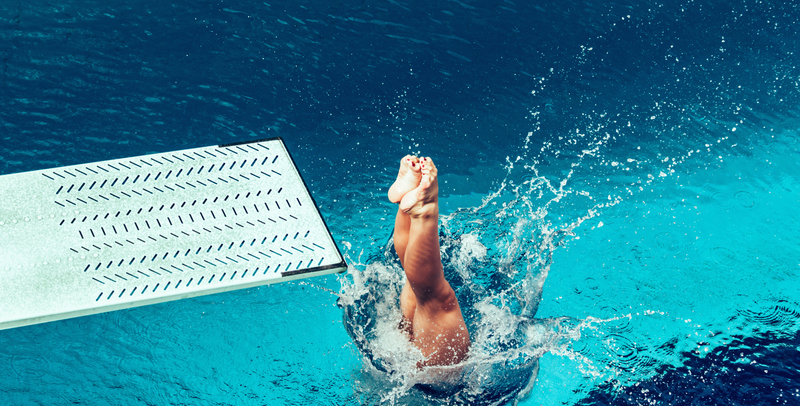 After you shake off the awe-struck stupor induced by this gorgeous display of athleticism, grace, and artistry, what’s one of the first things you notice about her diving? Her beautiful pike? Yep. It’s incredible. How does one achieve such a flawless pike, you may ask? Let’s dive into this discussion. For so many of us mere mortals, the pike stretch can be endlessly frustrating. We stretch and stretch our hamstrings to no avail, and make little progress. If this is you, there may be an underlying issue that you’re not addressing that is significantly limiting your pike mobility. 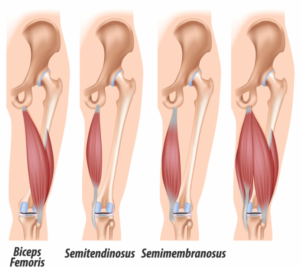 ​There are three hamstring muscles (I mean, ya know, per leg), and they all originate on the bottom of your pelvis (half of one originates on the back of your thigh bone, if we’re being picky). They course down the back of your thigh, and insert on the bones of your lower leg- the top of your tibia and fibula, just below the back of your knee. To fully stretch any muscle, you have to move the insertion away from the origin (am I blowing your mind yet?) For hamstrings specifically, this often looks like the standard forward fold/pike stretch. However, frequently in this stretch, we let our pelvis rotate downward (“tail tucked” position), which technically means you’re not fully stretching the hamstrings, because the origin is creeping towards the insertion. To get a true hamstring stretch, the knee must be extended straight, and the pelvis must NOT be posteriorly tilted. 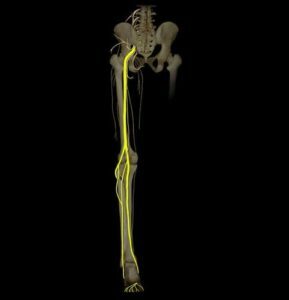 The next potentially pike-limiting structure of the posterior thigh is the sciatic nerve and its branches. This is the largest nerve in your body, and is about the diameter of your pinky finger. The sciatic nerve is formed from several segments of nerves exiting your spinal cord in your lower back, then it courses down behind the gluteal muscles, in between your hamstrings, and all the way under your calves and into the bottom of your feet (it branches into other nerves at several points along this course, but they’re all connected). WHAT STRETCHES THE SCIATIC NERVE? OK, if the end goal here is to pike like a Chinese diver, this means we need to be purposeful with how we stretch to get the best (safest) results as efficiently as possible, and adequately address all structures that may be limiting this motion. Nerves and muscles react very differently to prolonged passive stretch (holding an end-range pike for 30-60 seconds). Muscles tend to like it and typically relax over time (if not pushed with excessive force), which results in a deeper stretch. However, nerves HATE prolonged passive stretch and tend to get even more irritated if they are pushed to end range capacity for too long- this means your flexibility may ACTUALLY get worse. So, if limited nerve mobility is the biggest factor in your pike, how do you address this? Flossing. Flossing solves all the problems. Instead of stretching from both ends simultaneously, nerves prefer to be finessed a bit more. This means that to adequately address nerve mobility, you need to put one end of the nerve on TENSION, while the opposite end is on SLACK. Then, reverse it- you literally “floss” the nerve back and forth to “loosen” it up. This drastically improves the neural mobility, and (if it was limiting your stretch), may improve the overall range of motion in your pike. I WANT TO PIKE LIKE A DIVER! HOW DO I FLOSS MY NERVE?! You’re gonna have to be patient. In my next post, I’ll talk about and easy and safe way to address nerve tension and improve your pike stretch. All of my posts are intended for the UNINJURED circus artist. Don’t be your own doctor. If you have back or leg pain, get it checked out by a qualified sports medicine professional. Don’t diagnose yourself, and don’t use this blog to substitute for a real-live PT.